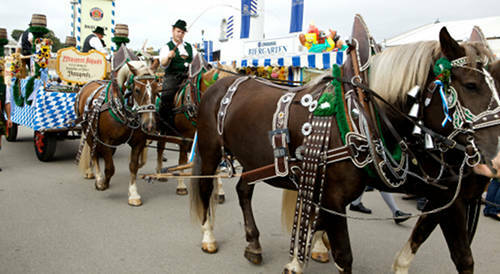 The Oberlander Horse comes from the South German state of Bavaria and are distinct in their large size and often flaxen locks. This breed comes originally from war horses of the Roman Empire, but were eventually almost bred out by the end of the 15th century. They share ties with the Noriker, Pinzgauer & Sueddeutsched Coldblooded breeds. The first stud farm was established in 1769 where the best of native stock was crossed with heavy animals from neighboring countries. 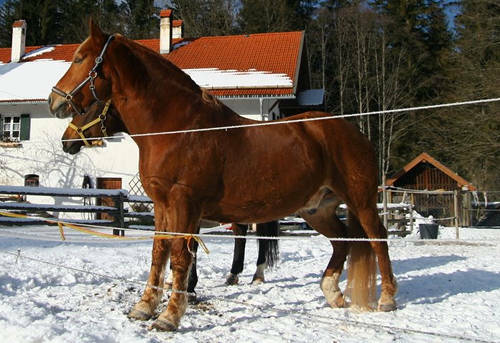 The Oberlander breed arose from a foundation stock that included Belgian, Clydesdale, Norfolk, Cleveland Bay, Friesian, Norman & Oldenburger animals. Cross breeding ended in 1900 and the stud book was closed to outside blood. At that point breeding was carefully monitored to fix desired traits within the breed. Today the government owns a herd of certified animals to preserve & continue each family of these old bloodlines. 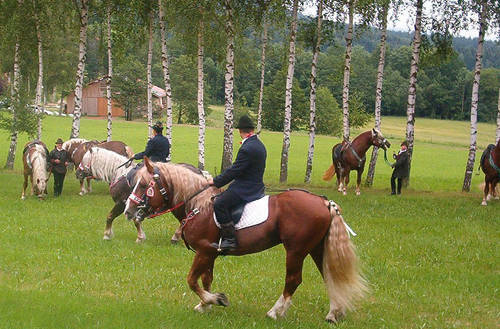 Do you have images or know more about the Oberlander Horse breed? I’d love help completing this page, please contact me to get involved.